Powerball can be very confusing if you do not understand how it works. This article gives you a brief overview of the inner workings of the lottery and basic strategies on winning. Virtually every person in the United States has dreamed about winning the lottery at some point or another. Trying to imagine what strategy is best in playing Powerball is very important. On the other hand, imagining what one will do with $300 million is actually really fun. While many dream about it, precious few ever actually get to win those big jackpots. Still, the fact that it is possible is enough to drive sales of those little white tickets. The dreams of winning Powerball are in many ways indicative of the struggles we are experiencing in our economy. Everyone wants to improve their situation, and the Powerball lotto extends that possibility across social and economic lines. What is Powerball in a nutshell? The Powerball lotto is a game of chance that is run in every state in the United States other than California, Nevada, Wyoming, Utah, Mississippi, Alabama, Alaska and Hawaii. 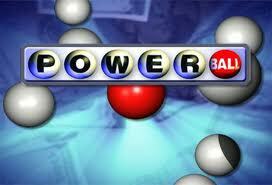 The Powerball is also held in the District of Columbia and the Virgin Islands. Every Wednesday and every Saturday night at 10:59 PM Eastern time, five white numbers are drawn from one drum and one red number is drawn from another to serve as the Powerball. These drawings are held in Orlando, Florida at Universal Studios. You can find the winning numbers via television, newspaper or their website soon after each drawing. Some television stations showed the drawings live every Wednesday and Saturday. To buy just a basic lottery ticket you will spend one dollar. If you want to pay an extra dollar you can multiply your winnings with the PowerPlay option. This can be multiplied by two times, three times, four times or five times depending upon how much you are willing to spend on the ticket. You can go up to six dollars which multiplies your winnings by five. Only non-jackpot winnings are eligible for the PowerPlay multiplication. How much can I win with the lottery ticket? Every jackpot starts over at a massive $20 million and can then grow to massive amounts that number in the hundreds of millions of dollars. It is these large jackpots that attract Powerball ticket buyers en masse. Spending a couple of bucks on a few lottery tickets seems like a fair enough risk for such a huge potential return. Where people get into trouble is when they do not mitigate that risk and understand that the odds of winning are astronomical. You have to be smart about how much money you are willing to risk with such poor odds. As stated above, the lottery numbers are drawn every Wednesday and Saturday. When you fill out an entry, you choose five white balls numbered from 1 to 59. Then you choose one red ball numbered from 1 to 39. You can also allow a machine to choose the numbers in an automated fashion. This comes in handy if you are getting a large number of lottery tickets in a single drawing. To win the jackpot, you must match all five of your white balls plus the red ball on the same ticket. You can when various smaller prizes by getting fewer numbers correct on a card. Just getting the red ball correct alone is worth three dollars plus any power play multiplier. The prizes increase exponentially from there. So what’s the secret to winning Poweball? This is literally the million dollar question and one that has no answer. The Powerball game is a completely random game of chance. As such, there are no systems in place that can effectively determine the outcome with any semblance of accuracy. Still, there are some various strategies that one can use if they are so inclined. The strategies or ideas are purely ways in which to play the game. They are not magic formulas and they in no way shape or form make claims to any specific winning formula. Look at them as ways to play the game and have fun doing so. This strategy involves buying one lottery ticket for every single possible red Powerball. This guarantees that you will win at least one three dollar ticket in exchange for $39 worth of lottery tickets. While this exchange absolutely stinks on the surface, I have found that I do fairly well when I employ this strategy. The reason for this is because I usually get a handful of white balls correct on various tickets as well. Several times I have won my money back several times over. It is far from a fool proof method but it is a lot of fun knowing that you will have at least one potential red ball correct. Pair that up with a few white balls and you could have a pretty good payoff. Birth days, phone numbers, and addresses, oh my! Another fun strategy for playing Powerball is to utilize various numbers in your life. Some people use Social Security numbers and others use driver’s license numbers. Phone numbers are extremely popular as are birthdays and addresses. Any numbers that are important to you can be considered lucky numbers in the game. Playing these numbers can add a bit of fun to an otherwise losing proposition. It is also great fun when you actually win. Should I play the same numbers every time? Playing the same numbers over and over again is a strategy that is very common among Powerball players. The idea behind this strategy is that eventually the numbers will come around. Unfortunately, when you look at the large number of combinations that could potentially come up on a given night, this strategy is probably no more or less successful than any others. The important thing to remember is to play the numbers that make you feel good about your chances inside. There are no magic formulas to ensure success so you are not missing out on anything. If I play Powerball, how can I be sure to play the lottery responsibly? The best way to ensure that you will play responsibly is to set yourself a budget and stick to it whether you win or lose. Playing the lottery is not terribly expensive if you control how often you do it. Some people play one ticket per drawing, every drawing. Some people play five dollars per drawing. Some people play $20 per week. Whatever the amount, make certain that it fits within your budget comfortably and that it will not hurt you financially to lose that amount. Where people get into trouble with the ticket buying (which really is gambling) is when they start to chase their losses. When you get down and lose a good deal of money, it becomes very easy to want to win it back by betting more. Resist this urge by having a solid budget in mind and never deviating from it. And if your budget is zero, you can still play poker for free. All state run, legal lotteries do a great deal of good in society by donating a large portion to various municipal and social programs. While it certainly is a form of gambling or betting regardless of what our political leaders might call it, is still a game that can be great fun for people of all social and economic backgrounds. The key is staying within your means and only spending what is responsible within your life.